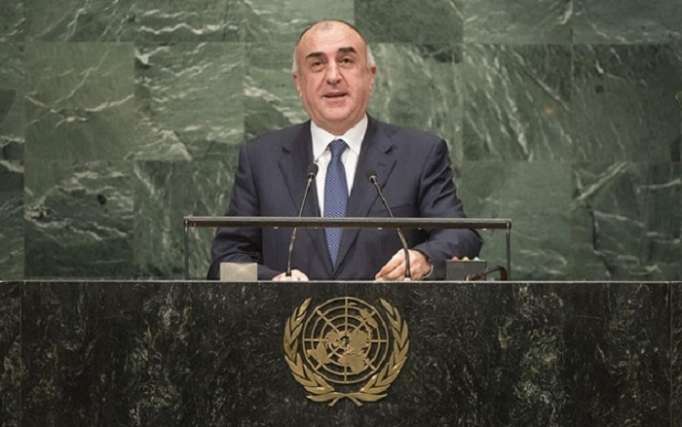 Azerbaijani FM Elmar Mammadyarov called to support the candidacy of Baku for hosting World EXPO 2025 in New York on the sidelines of the 73rd session of the UN General Assembly, AzVision.az reports. Azerbaijani FM Elmar Mammadyarov commented on the successes achieved in Azerbaijan’s economy, several regional projects such as transport corridors and construction of infrastructure buildings. “Sustainable economic growth has enabled Azerbaijan to address the needs of the developing and least developed countries, as well as those recovering from natural disasters. Azerbaijan combats against corruption and actively cooperate with UN human rights mechanisms”, said Elmar Mammadyarov. “Azerbaijan decided to nominate Baku for hosting the World EXPO 2025 and we call you to support its candidacy. The whole region of Eastern Europe, Caucasus and Caspian have never hosted World Expos. In that sense, World EXPO 2025 Baku shall be truly universal in terms of expansion of its traditional geography and vivid example that through historically short time period of 27 years of independence the countries like Azerbaijan can achieve remarkable results for applying to the huge events like World Expo”, Mammadyarov stated. “Azerbaijan is one of the world’s recognized centers of multiculturalism. All ethnic and religious groups live in Azerbaijan in peace and harmony”, Mammadyarov added.